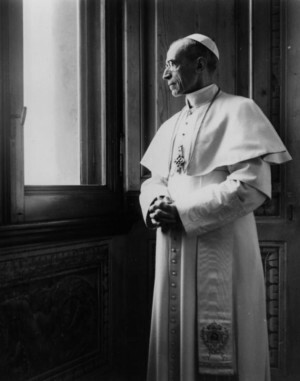 ROME (CNS) — Pope Pius XII, who some critics say remained silent during the Holocaust, played a pivotal role in coordinating covert spy operations and efforts to take down Adolf Hitler, a U.S. author said. “Pius XII conspired with the German resistance to try and get rid of Hitler on not just one but three occasions — from 1939 to 1945 — and that’s the story that I tell,” Riebling told Catholic News Service March 1. 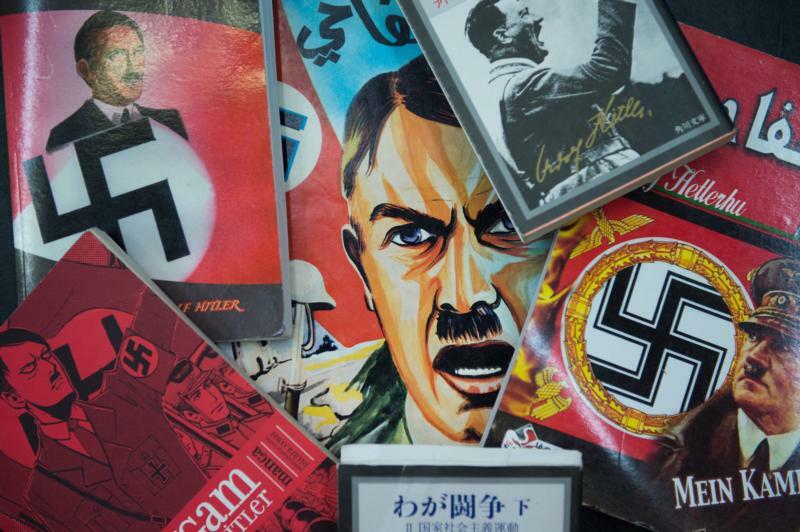 In his book, “Church of Spies: The Pope’s Secret War Against Hitler,” Riebling’s research unveils a series of plots and acts of espionage involving Pope Pius that sought to bring down the tyrannical Nazi regime, which was responsible for the death of an estimated 6 million Jews. One of the stars of Riebling’s book is Joseph Muller, a German Catholic who worked as an intelligence agent for both the CIA and the Vatican, the author said. “Joseph Muller was caught between his country and his church. And in the end, his country became so evil, that he worked with his church to try and have a regime change,” Riebling told CNS. At the start of the war, Muller visited the Vatican on several occasions passing correspondence to Pope Pius who, while publicly appearing neutral, served as an intermediary and passed along information to British and Allied intelligence, Riebling said. Although he and other members of the German resistance were ultimately discovered and sent to concentration camps, Muller and several others survived, keeping the knowledge of Pope Pius’s actions against the Nazis alive. Despite the pope’s disdain for the Nazi’s actions, authors critical of what they consider to be his public silence continued pushing the notion that he was “Hitler’s pope,” Riebling said. The documents he researched from several unpublished sources, including the Vatican Secret Archives and Germany’s Institut für Zeitgeschichte, countered those notions and led him to write his book. “Rather than considering what he did not say — about which billions of words have been published in English alone — I thought, ‘Why not just look at what he actually did, even if it’s in secret.’ And that took me many, many years to piece together,” Riebling told CNS. While the evidence currently available does not support the notion that Pope Pius remained silent over the Holocaust, he said, the pope continues to be used as a “scapegoat” for the inaction of some Christians against the persecution of the Jewish people. However, the U.S. historian said that while he must remain objective, the research into the actions of Pope Pius paint a different picture. “From all of the information I have seen, he was a very saintly man and there is nothing that I have seen or from anyone I know who has seen the archives — particularly the former (postulator) of his beatification proceedings, Father Peter Gumpel — nothing that any of us has seen indicates he did anything contrary to faith or morals as they were defined at the time or against church law,” he said. Riebling, who gave Pope Francis a copy of his book in Spanish after a general audience in St. Peter’s Square March 2, said he hopes that the Vatican’s Secret Archives will be opened soon to look further into historical records and place the “debate about Pius XII, which has big implications for interfaith relations, on a different footing.” Although Pope Benedict XVI authorized allowing scholars access to Vatican Secret Archives’ documents dating up to 1939, papers from the World War II years are still being catalogued. The story of Pope Pius and those who “who went to the gallows for their complicity and plots to remove Hitler,” Riebling said, are a reminder of the heroism that human beings are capable of, particularly when people are being persecuted and killed for their faith. “I think this book, ‘Church of Spies,’ really points a way to a recovery of Christendom which I think can help the West unite itself against something which would really do us all in,” Riebling said. Despite the Communist disinformation and the willingness of the western media to support it, the pope was a great man who saved countless Jews from the death camps. Everyone should also read, “The Myth of Hitler’s Pope” by Rabbi David Dalin to get further insight into this heroic figure, a man who was honored as Righteous by the State of Israel. Another eye opener is “Spies in the Vatican” by John Koehler.